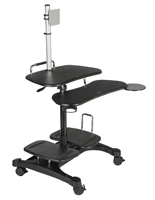 These height adjustable laptop carts feature a highly mobile design with their three caster wheels on a wishbone-shaped base. 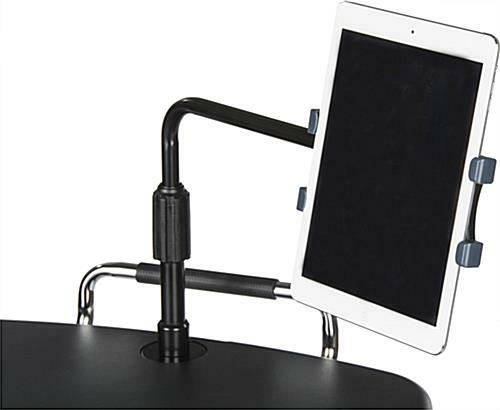 Each stand features a universal tablet holder that can accommodate iPads in addition to Samsung, Google, ASUS and Microsoft touchscreens. 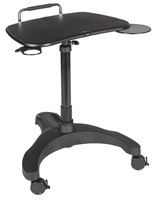 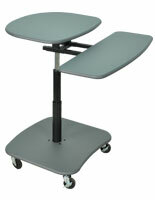 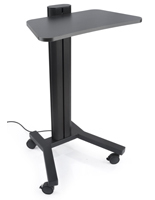 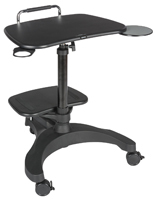 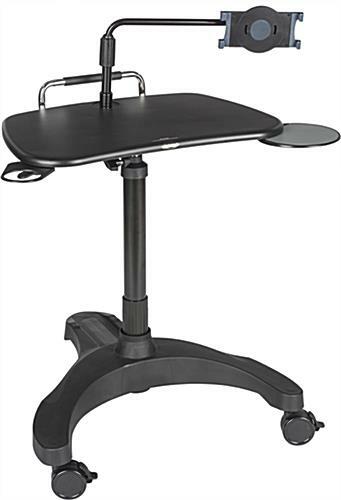 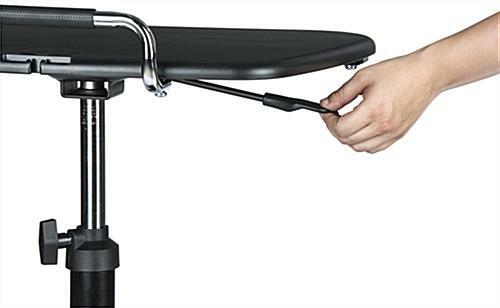 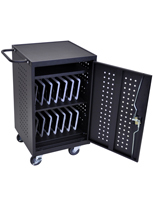 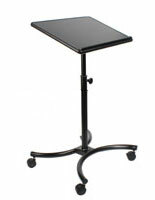 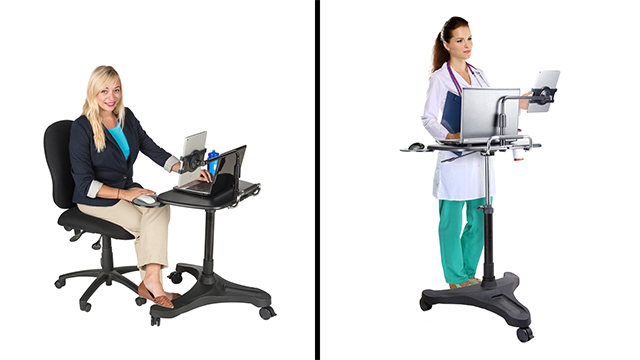 The mobile adjustable laptop carts are are made of polypropylene with an ABS plastic countertop. 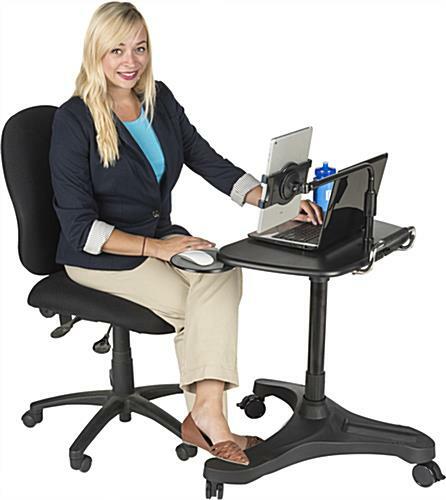 In addition, the stands feature a cup holder and a retractable mouse tray for accommodating computers. 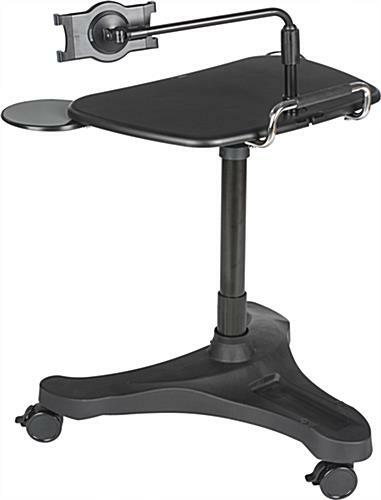 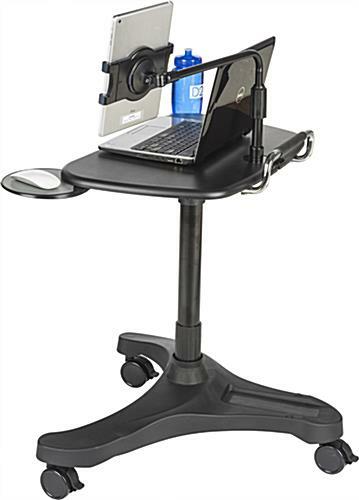 The laptop carts' tablet holder can rotate and tilt to face any direction. 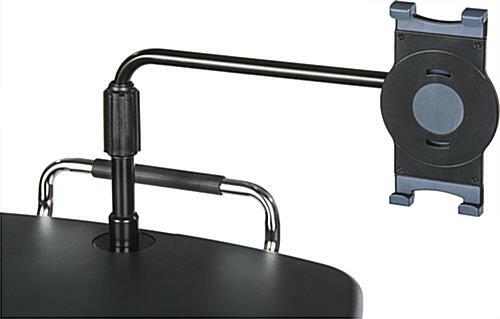 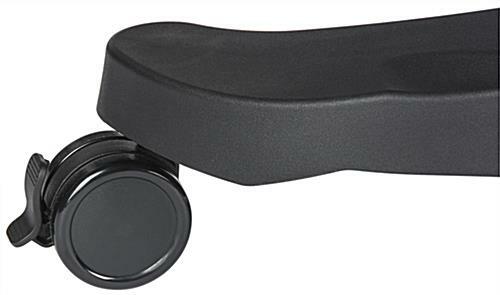 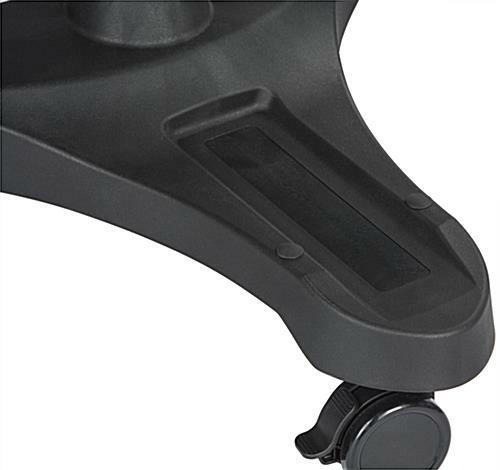 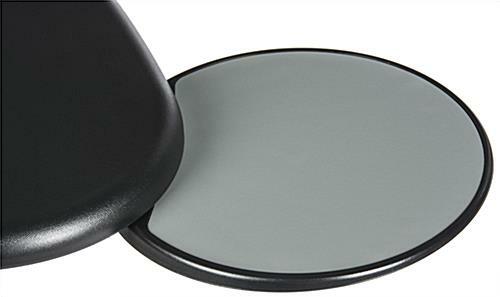 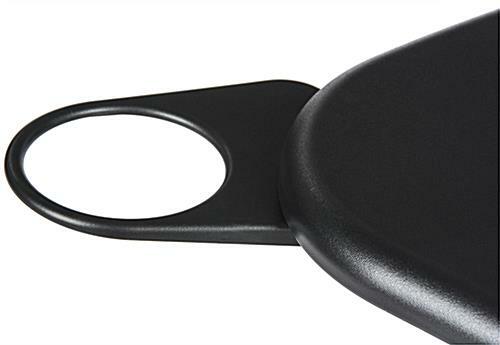 The iPad workstation's caster wheels have a lockign function that gives them stability even in high traffic environments. 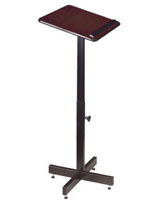 24.8" x 9.4" x 24.8"
8.0" x 4.0" x 0.75"